We live in an interesting world don’t we? Particularly if you’re an investor. 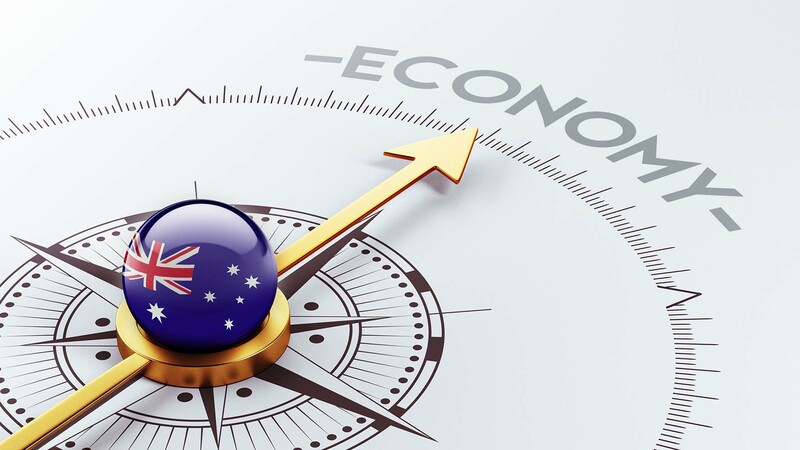 Every time most of the world’s economic woes seem to have sorted themselves out and Australia’s property markets seemed to be steaming along nicely, a new set of challenges pop up for us as investors. Some of them are overseas – things like terrorism, wars and financial woes. And some are new ones back home. Concerns about what the future holds for Australia’s economy, interest rates, unemployment, political instability, APRA’s changed lending criteria and our property markets gyrations. All this means is there is a heightened level of uncertainty about what the future holds. Now that some of our property markets have moved into the slump phase of the cycle, and with the likelihood of uncertainty ahead for some time yet, I’d like to share 7 tips for building wealth in the current “interesting” economic times. 1. Risk comes from not knowing what you’re doing, so pay the price to learn what you’re doing! Sounds obvious I know, but many investors commit hundreds of thousands of dollars to buy a property yet have gained their property investment knowledge from attending a one day seminar or reading a book. 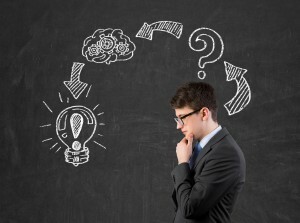 The first step for most investors should be to invest in themselves. Invest in their knowledge. Get a mentor. But be careful who you learn from. Just like in previous property cycles there is a swag of new property gurus willing to take your money to teach you there “new found” knowledge. Instead find a teacher who has achieved what you want to achieve, has invested through a number of cycles and has kept their wealth. I guess what I’m saying is it is better to learn from someone else’s mistakes rather than your own. If your property investment mentor hasn’t had some challenges and failures along the way, they probably haven’t tried hard enough. 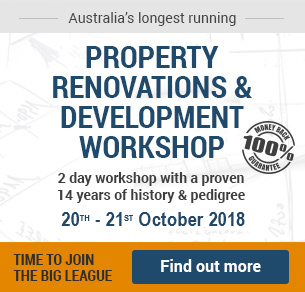 By the way…you can learn advanced property investment techniques (including how to get started in property renovations and development) from the best faculty of mentors I could put together at this year’s “Property Development and Renovation Workshop” in October. 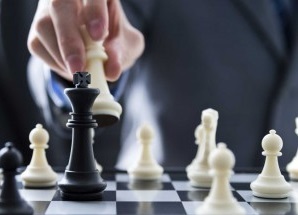 Most property investors don’t have a plan or a proven strategy to adhere to. In fact they spend more time planning where they’re going to holiday than they do planning their financial future. If you don’t have an investment strategy to keep you focused, how can you hope to develop financial independence? Adhering to a proven investment system will give you more predictable results, and will help you make more consistent and less emotional decisions. Let’s face it…it’s too easy to get distracted by all the “opportunities” that keep cropping up. Unfortunately, many of these supposed opportunities don’t work out as expected. Look at many of the investors who bought off the plan or in the next “hot spot” or in mining towns, only to see the value of their properties under perform. 3. If you’re the smartest person in your team, you’re in trouble. Successful investors surround themselves with a good team. This may consist of a property accountant, a proficient finance broker, a lawyer and a property strategist. However, you must become your own most trusted investment advisor—no one can do it all for you. 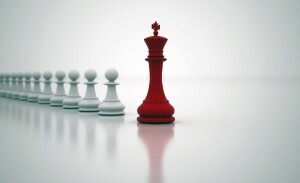 Too many investors make the monumental mistake of thinking that success is a matter of choosing the right investment advisor to handle their wealth. No one—no one—will be able to manage your wealth like you can. Yes, you need good advisors, but you need to have the sophistication to filter and use the best of your advisors. This means you’ve got to invest the time, energy and money to master the skill of managing your own net worth. If you are serious about taking your property investing to the next level want to learn the fundamentals of property investment, renovations and development from a group of “real world” experts then please join me for 2 days in October at my “Property Development and Renovation Workshop”. Click here to find out all about it including the 9 bonuses, my money back guarantee and grab one of the early bird seats before they go. Smart investors don’t only buy properties; they buy time to help them ride through the ups and downs of the property cycle. After all…one thing that is certain about the times ahead is that there will be uncertainty. Over the next few years we’ll have some good times and some bad. Some further periods of low interest rates and then they’ll rise (possibly considerably). We’ll have some boom times and we’ll probably have another recession one day. Savvy investors will protect themselves by having financial buffers in place to see themselves through the difficult times. 5. Sometimes it’s best to do nothing. Yet many investors get itchy feet and want to do more, put another deal together or buy another property. There are stages in the property cycle and times in your investment journey when it is best to sit back and wait for the right opportunities because wealth is the transfer of money from the impatient to the patient. Successful investors specialise. That’s how they become successful. They find something they are good at and do it over and over again, rather than moving on to the “next shiny toy”. 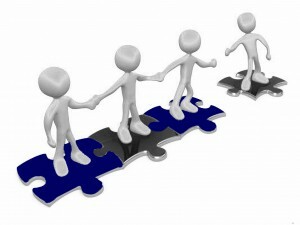 Do you know a specific area and have a network of contacts that gives you information advantages? Of course if you are investing in publicly traded securities you have to be wary of trading on “insider information”, that is information that is not publicly available. Which is one of the reasons I like investing in property; since not only do I get paid for my “insider information”, but it is totally ethical and legal to trade on this privileged information! Take the example of Bruce F from country Victoria. He’s a ski instructor who attended my Property Development and Renovation Workshop a number of years ago. A few years later he was featured in Australian Property Investor Magazine explaining how he made over $250,000 from his first property development – a two townhouse project in Bentleigh East. 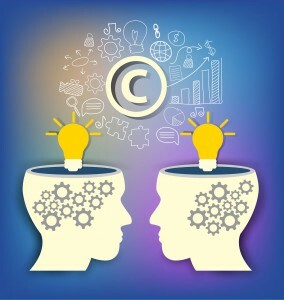 What contacts, expertise, and experience do you have that you can leverage? 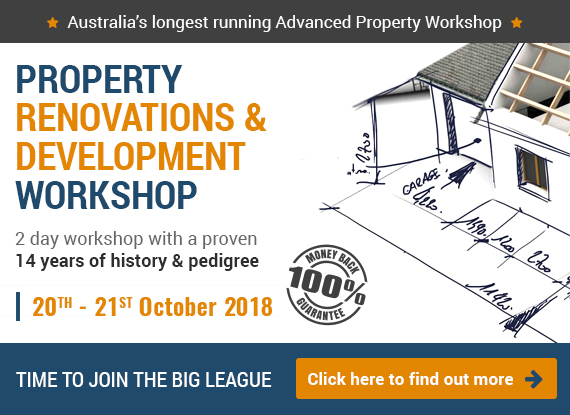 If you want to upgrade your knowledge of property investment or learn the fundamentals of property renovations or development, then you must join us at this year’s Property Development and Renovation Workshop. Click here for all the details, including the 9 bonuses and my money back guarantee. Then reserve one of the early bird spots now. 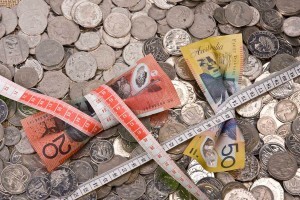 Investing is a serious business and if done correctly can, over time, replace your personal exertion income. I’ve seen some property investors, those who treat their investments like a business, become very, very rich by growing a multi-million dollar investment property portfolio. They do this understanding “the system” and getting the right type of finance, setting up the correct ownership and asset protection structures and knowing how to legally use the taxation system to their advantage. They also hold themselves accountable for their own success. However if you have a system, a great team of advisors, your finances organised and the right knowledge, now could be a great opportunity to buy good properties that will appreciate in value over the long term. I hope you put these 7 tips to great use in your financial life. And I would really love to see you at my 2018 Property Development and Renovation Workshop. Click here to check out the top line up of Australian property experts and find out more about the curriculum. Please give yourself the chance to assess this opportunity properly – it will take about 10 minutes to read all the information. This is likely to be the most important year for you to attend. While we can’t predict the future, we have lined up Australia’s leading experts to help you formulate a plan to protect your position and exploit the opportunities ahead. A group of “hands on property developers” with currently involved in over 50 residential development projects backed by a combined 70 years of “real word” experience. A serious property renovator who has completed over 200 renos in the last few years. I don’t know anyone else who can claim that! A leading property tax expert – who will show you how to legally reduce your tax and set up the correct structures. 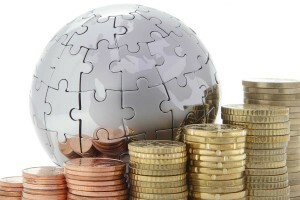 Two top finance strategists – to show you how to beat the bank’s at their game. A plethora of property experts, some who specialize in property renovations and development. The intimate class room format of this workshop will give you plenty of time to ask your own personal questions of our faculty of speakers. Then use the online booking form here to reserve your place or call Liz Rudenko at our Melbourne office on 03 9591 8888 to discuss this further. It’s up to you now – I look forward to meeting you in Melbourne and being part of this exciting workshop.